Check out this article examining the men who have helped turn "Trap Music" into a billion-dollar-industry. The Americans who made significant contributions to the Constitution are called the "Founding Fathers" of our country. In this article, the focus is on who branded Trap Music and helped it become a billion dollar industry. The contributors discussed, are considered “The Founding Fathers of Trap Music. HIS STATEMENT FEELS RIGHT & WRONG AT THE SAME TIME! LOL. Trap Music is a form of rap music, originating in Atlanta. It’s usually associated with brothers selling drugs, telling about their story, trapped in the system. But if you ask any Atlanta rapper, the music has provided a way out of the trap. Trap Music has been around since the 80’s, under a different name. Now that Atlanta becoming the rap music capital of the world, over the last twenty years, Trap Music has developed into more than just music, it’s also a way of thinking, a state of mind. What’s The Difference Between Hip-Hop and Trap Music? The same way, Trap Music has four elements, it also has four founding fathers from Atlanta, who branded the movement. Who Are The Founding Fathers of Trap Music? This is like a new kind of beef, but a timeless one nevertheless. 1787 is the year, The Constitution was born. Two hundred years later in 1987, Trap Music was born. 36 Mafia, UGK, Ghetto Mafia, T.I., Russell "Block" Spencer, Gucci Mane and Young Jeezy. Honorable mentions go Shawty Redd & DJ Toomp, for influencing the Trap Music in the 90’s and 2000’s. If the Founding Fathers of Trap Music could be represented Mount Rushmore style, these four would make the cut: T.I., Russell "Block" Spencer, Young Jeezy and Gucci Mane. The same way the Pilgrims looked up to the Founding Fathers of America, the streets of the south look up to the Founding Fathers of Trap Music. T.I. is the one who gets credit for making Trap Music a brand. While "Trap Music" already existed, T.I. gets the credit for putting the Trap theme in a box, creating a niche title, and endorsed Trap Music the same way, Lil Jon endorsed Crunk Music. The same way Congress had fourteen men who served as President before George Washington, the correlation is the same with T.I., other rappers from Atlanta before T.I., such as Shawty Redd, DJ Toomp, & Ghetto Mafia, who influenced Trap Music, before T.I was considered a pioneer of Trap Music. T.I. has been making Trap Music since 2001 with his first album I'm Serious flopping. Two years later T.I got a little more creative and in 2003, T.I. dropped his second album called Trap Muzik. He would title himself “King of the South,” which is the equivalent to Washington declaring himself the first President of the United States. Block is the Benjamin Franklin of Trap Music. Both are scientists of their respective fields. Ben Franklin was an inventor, and Block Spencer has a tremendous ability to reinvent himself. Block Spencer revolutionized the way new a rap artist is developed. While a lot of credit goes to the rapper himself, there is always a behind the scenes person, who orchestrates the bigger picture. While a rapper may be happy making $1 million, Block wants a rapper to be happy making $25 million. His skills and experience in developing music artists is the main reason for giving him credit in branding the Trap Music and regarding him as one of the Founding Fathers of Trap. Russell Block Spencer was the president of Suave House Records in 1996. Artist such of 8Ball & MJG stepped up their music a notch, after being influenced by Block. Russell "Block" Spencer Becomes Newest "Black Bottle Boy"
It was the “hustle for yours” mentality from Block Spencer, that would help score “Rick Ross” his first deal with Slip-N-Slide Records. Rick Ross created a Miami version of ATL trap music. With heavy development & mentoring coming from Block. His ability to reinvent himself & his brand has opened the doors for rappers on his Block Entertainment Record Label. Which included Young Jeezy, Jody Breeze, and Gorilla Zoe. Spencer also signed Yung Joc at the club “Royal Peacock,” Atlanta’s most legendary nightclub, adding a historical value. The same way Benjamin Franklin was a Founding Father but not the President of the United States, Block Spencer is a Founding Father of Trap Music, without having to be an artist. As you can see they are both Godly about their thoughts. 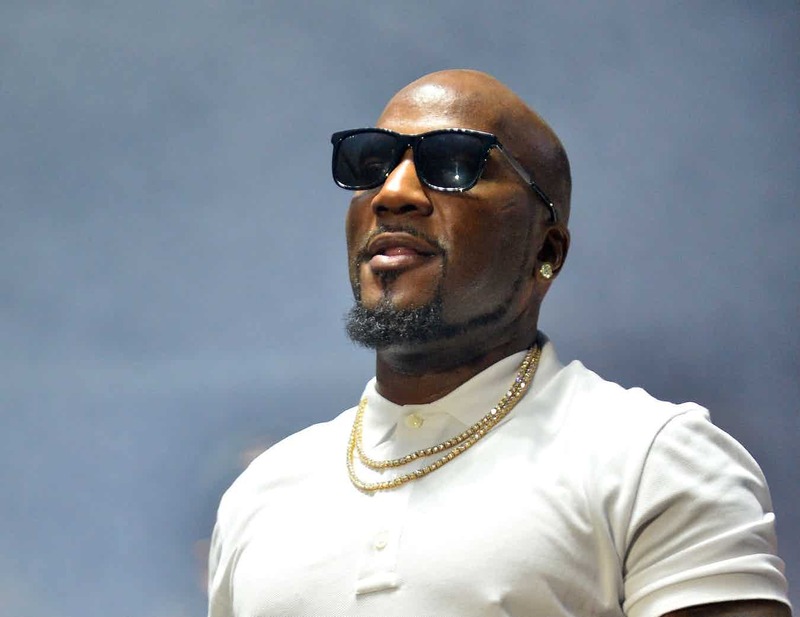 Jeezy is considered one of the Founding Fathers of Trap Music. He started making rap music in 2001. Two years later on his second album, he started working with Block Spencer, putting out Trap Music. Atlanta hadn’t crowned it Trap Music just yet. Once Jeezy put out his solo album in 2005, he called it *Trap Star." That’s when all the money, power & respect, came rolling in. Gucci shares the pioneering qualities of Thomas Jefferson. Both of them were men of few words, but their actions spoke for them, and their writing skills were tremendous. In 2005, Gucci Mane released his first album Trap House. Fast forward to 2018, and he’s already 13 albums deep, reaching success through hard work and controversy, just like Jefferson. They are both viewed as successful and winning while having rebellious and villainous behavior. So the question is, who founded Trap Music? Well if you look at perceptions of the Founding Fathers, Americans perceive them as torch passers, more so than who is the "best" Founding Father of America. Americans celebrate all of their pioneers, equally. All of the Founding Fathers of America were all needed so that a master plan could be achieved. It’s the same with the Founding Fathers of Trap Music. It took 56 men to sign the Constitution so that the movement could proceed. If T.I. wants to have his name John Hancock on the Trap Music movement, that is fine. T.I. branded titled an existing culture and monetized it. He created a niche title and profited first, and showed others how "Trap Music" could be monetized. T.I. open the doors for other rappers to use the word “Trap” and make money off it. These Founding Fathers of Trap Music represent well over two-decades worth of success. They also stand as a representation of the city's influential voice of Black Americans and their struggles, since the formation of Atlanta in 1836. Do you agree or disagree with this list? Drop your own thoughts and lists below! This whole story is just a blatant lie. False reporting on so many levels! Playa Fly? Tommy Wright? MJG and 8 Ball? Come on man.